Ownerscars has a car hire office at Cala Galdana, located a few metres away from the fantastic Audax Hotel at Cala Galdana, 8 km. from Ferreries. 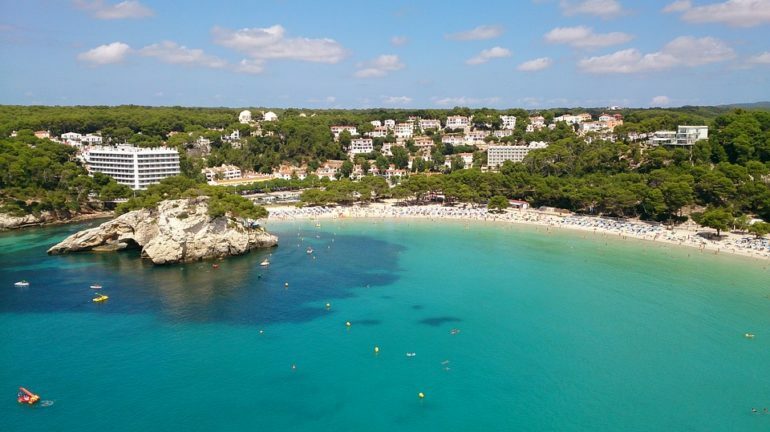 Take advantage of the best price available and reserve your hire car at Cala Galdana, one of the most beautiful and best-serviced beaches on Menorca. Reserve your Cala Galdana hire vehicle in a few easy steps and pay at your destination, with no extra charges. The prices of all our hire cars at Cala Galdana include VAT, all-risk insurance with excess and unlimited kilometrage, with no extra charge for changes or cancellation. Online reservation with immediate confirmation. We also have a 24 hr assistance service for your total peace of mind. Pick up your Cala Galdana hire vehicle at our offices and you’ll fall in love with the idyllic landscape around Cala Galdana, where the intense green of the trees meets the clear blue of the sea.